In this tutorial, you will learn how to shape and draw hair in Photoshop. 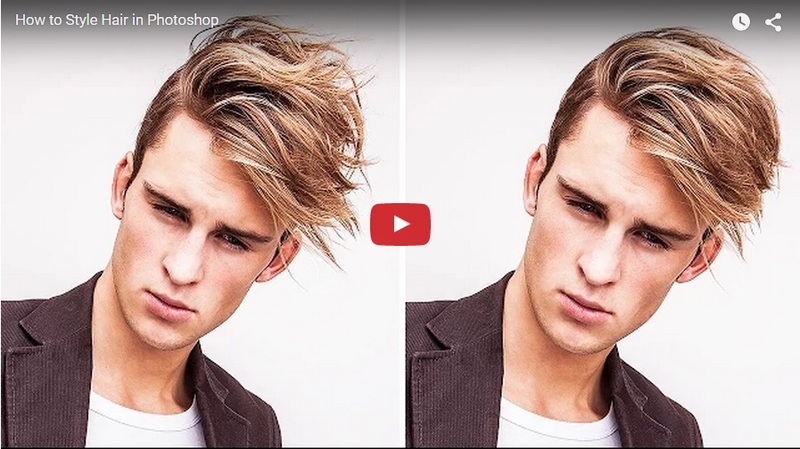 Use a liquify tool to push and pull hairstyle. If you do not want to change the background, you should duplicate the background layer. Use the Forward Warp Tool to push the hair down to make the overall look a little more cohesive.